These trips are eligible for our special early booking discount! Click here for more info! On the new Japan vacation, experience a breathtaking bamboo forest, a centuries-old temple, or a high-tech metropolis, adventurers will be fully immersed in the ancient customs and storied traditions deeply rooted within this cultural wonderland. Tour Kyoto’s Arashiyama district and the Bamboo Forest in a traditional rickshaw. 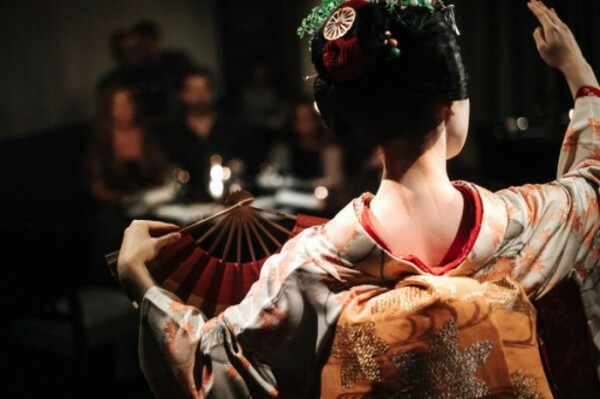 Feast in an elegant setting, meet a Maiko and try your hand at Samurai sword play. Celebrate peace and fold a unique paper crane, then add it to the museum's colleciton. Make an authentic Japanese bento box at a local cooking school—then enjoy your delectable creation. Take in the enchanting scenery that surrounds yo on an exhilarating ride on the Hozuawa River. Discover the ancient sport of sumo wrestling and see a live demonstration. Visit this serene, traditional mountain village that provides a rare look at life in pre-modern Japan. joy a leisurely bike through the farms and rice fields of Japan’s scenic countryside. Find inspiration at this interactive museum honoring the popular ramen dish and its creator. Experience a matcha tea ceremony in this Zen-inspired garden setting. 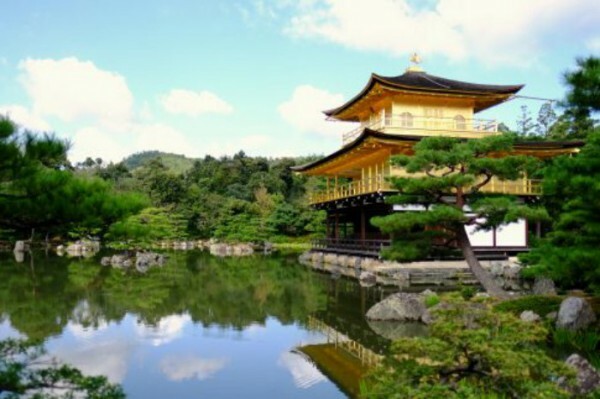 Learn the history of some of Japan’s iconic shrines and temples. 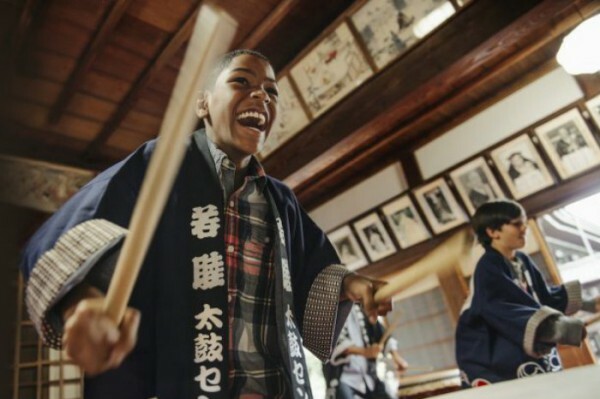 Keep the beat as you learn to play taiko, a Japanese tradition that dates backs centuries. Soak up the atmosphere of this ancient city through the wonderful flavors and aromas of a traditional Japanese meal while enjoying amazing views of Arashiyama from the restaurant’s Arashi-no-tei room..
Board a Shinkasen train, Japan’s famed high-speed bullet train, to begin your journey to Hiroshima and Miyajima Island. Enjoy a visit to Hozenji Temple. Tucked away in a quiet area is this small 17th-century temple that offers a lovely nighttime atmosphere, lit with the warm glow of paper lanterns. Hozenji Temple is also the home of the “moss Buddha,” named due to worshippers making their supplications not by throwing coins, but instead splashing water on the statue of the deity. Because of this practice, the statue is now covered in a soft, green carpet of moss. Stand in awe of Todaiji Temple, one of Japan’s most historically significant temples and an iconic structure in Nara. The main hall, known as Big Buddha Hall, is the world’s largest wooden building. Inside this massive structure sits one of Japan’s largest bronze Buddha statues, reaching a height of just under 50 feet (15 meters). elax and discover all the amazing amenities and activities your hotel has to offer. An 18-hole putting golf course, indoor and outdoor pool, and an amusement center with a bowling alley and karaoke, are at your disposal! * You may also choose to soothe your senses with a visit to the hotel’s Hot Spring Hydrotherapy Spa. Once you work up an appetite, the hotel offers several dining options, including a buffet restaurant, 2 lounges and a poolside café. Enjoy a moment of reflection as you walk amongst the beauty of this large landscape garden located along the bay in central Tokyo. The peaceful setting offers a tea house as well as a view of some of Tokyo’s towering skyscrapers that are in stark contrast to the serenity of the lush Hama Rikyu gardens. While some tea ceremonies can last for hours and follow strict guidelines, the Hama Rikyu tea house offers a more informal ceremony in a serene setting that allows you to follow the ritual at your own pace and still feel steeped in Japanese culture. Board a water bus and cruise along the Sumida River through the heart of Tokyo from Hama Rikyu gardens to the bustling Asakusa district as you take in Tokyo’s stunning skyline from a unique vantage point. Visit this striking temple that was completed in 645 A.D., making it Tokyo’s oldest temple. Known for its bright colors and large red paper lantern, Sensoji is one of the most popular temples in the city. Say sayonara to your fellow Adventurers as you transfer to Narita International Airport (NRT) or Haneda Airport (HND) to begin your journey home. Transfers to Tokyo Disney Resort will be provided to those Guests who are extending their Adventures by Disney Japan vacation.